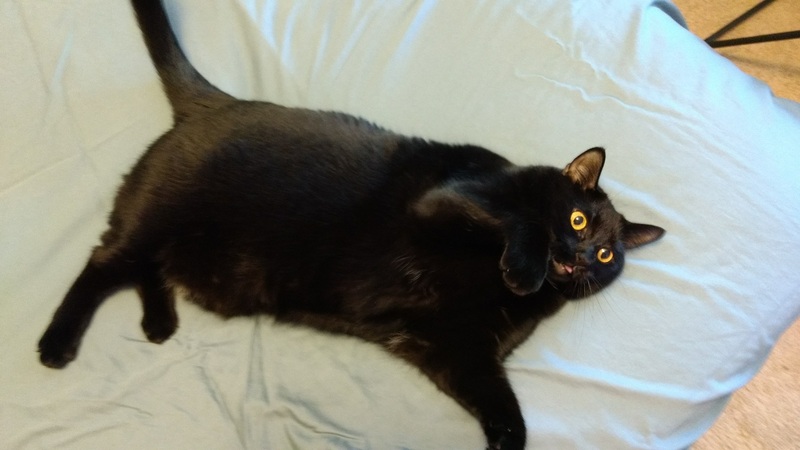 Norie, my black cat, loves to be involved when I am doing anything around the home. 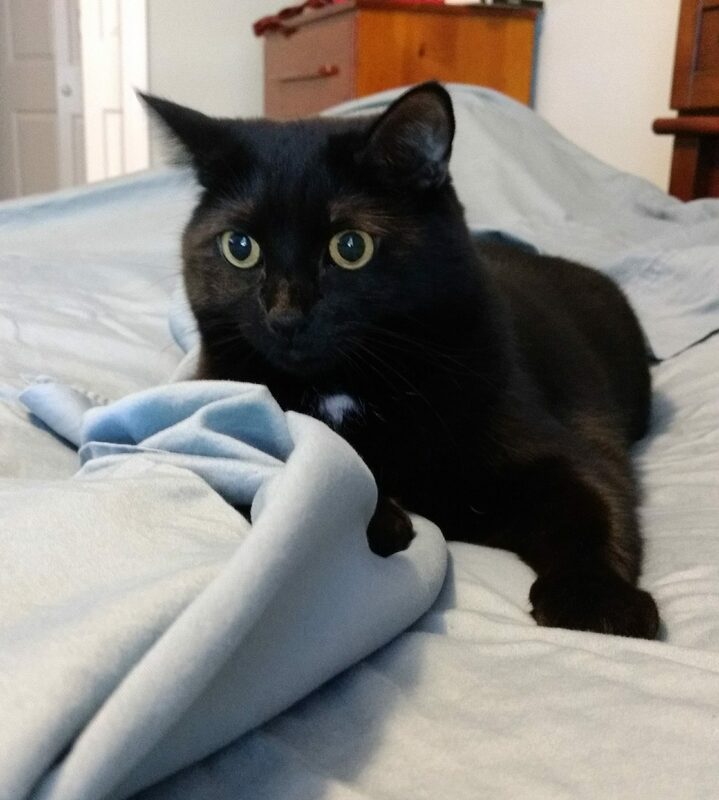 Changing the covers on the bed has always been a favorite with her. Here are some pictures showing how we work together like a team(?). Well at least we have fun. Norie checking my sheet’s corners. “Where is Norie? 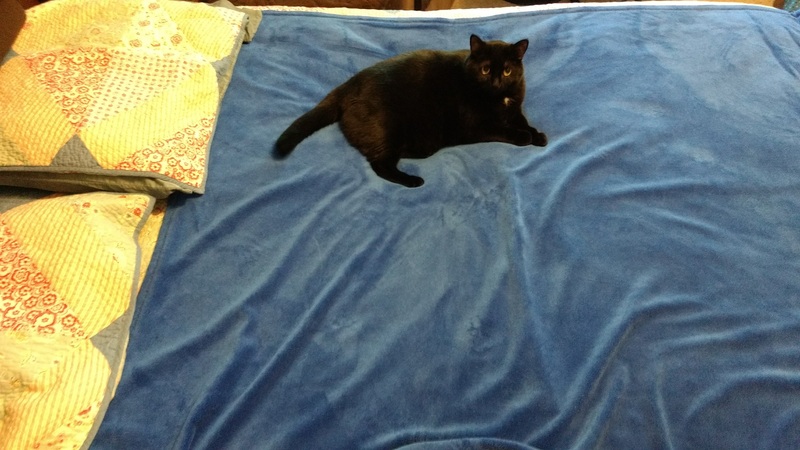 ?”When the bottom sheet is tucked in, Norie jumps around on the bed. So I just put the top sheet over her and she lies still. Norie has always loved to be under the sheet when I fluff it up in the air over her. She lies very still while I “search” for her. Once I left her there to answer the door and she fell asleep there. 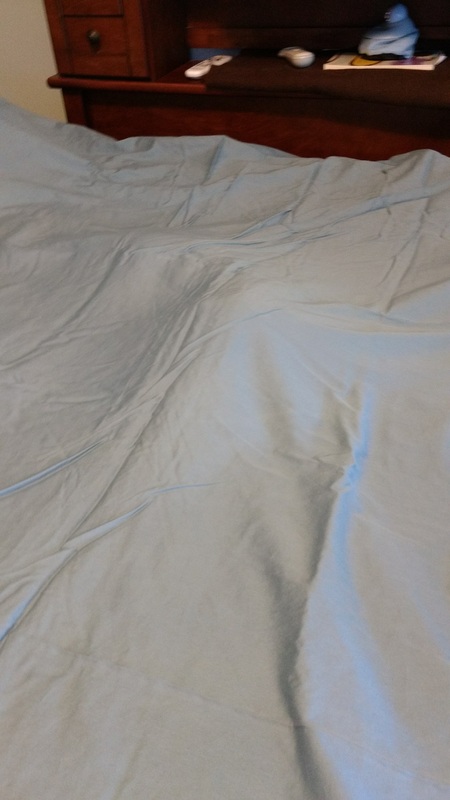 This sheet is not tucked in! 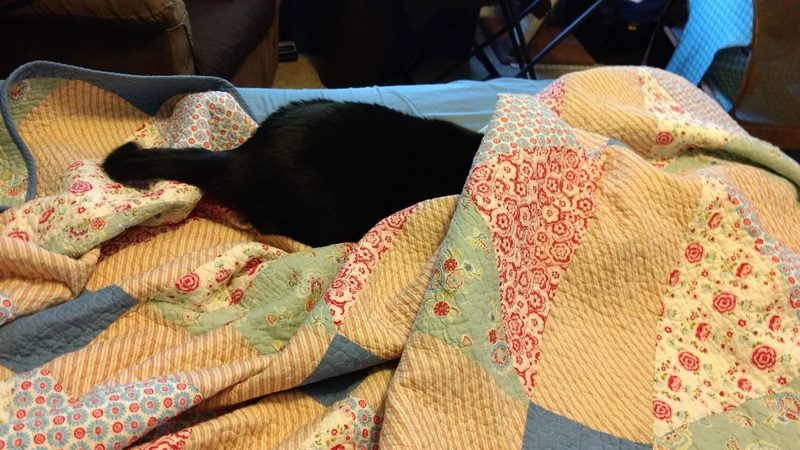 Oh, goody I can burrow under the quilt! Thanks for commenting. Delighted that you enjoyed her antics. A couple of years ago we looked after our daughter’s cat while she as away. 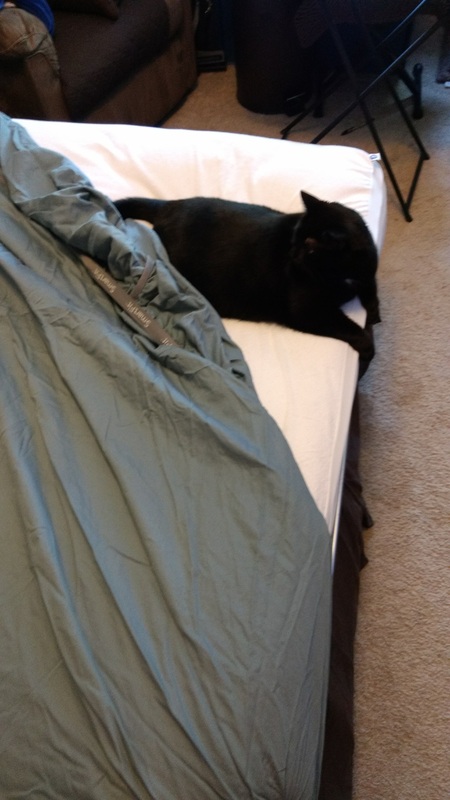 He would do the same things: getting in under the bottom sheets when I was trying to make the bed. I really enjoyed it and missed him dreadfully when he went home to our daughter. So cute! I remember how it was when I had my two cats. They are so funny. Aww. Cats can add so much fun to our lives. Thanks for sharing that memory. And thanks for commenting.